If you want to know something about the country and its people, stay here and have a chat with your hosts! They're always up for a chat and really concerned about their guests. I enjoyed my time near Pokhara's lakeside alot! Very nice and warm-hearted family! Room was nice and big, good hot shower and also located near the Main Street where you find shops and restaurants. Definitely the best hotel I‘ve stayed in Nepal. Very friendly and lovely hosts, which can arrange everything for you and are always there for questions and a small talk :) Have recommended it to many people I met on my trip. Will coming back soon!!! This amazing friendly, honest and carrying family is out of the world. I wanna reach that karma level. Really nice people, help you with everything, get the price down for your taxi and treat you like a family member. The hotel is super central, but just that far away, that its completly quiet and remote. Just a perfect combination. 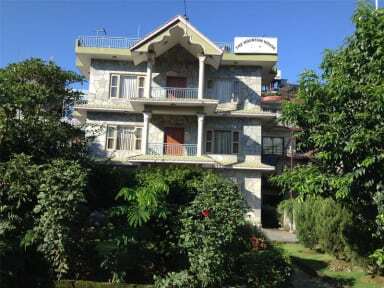 If you are looking for an beautiful, quiet and clean place this is your choose in pokhara. Tolles Hostel..Superberatung hinsichtlich Reiseplanung, Trekking etc. A place like home! Stan and Indira are precious jewels! 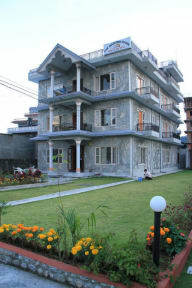 We stayed here before & after our trip to Ghandruk. Everything is super clean, the stuff is friendly and lovely the beds a dream - we even got a free upgrade to the rooftop deluxe rooms. Self-made joghurt for breakfast, tea and a get well soon snack - absolutely wonderful! We got help where/whenever needed and the laundry and hot shower after the trek are great. We will definitely come back soon to this place that feels like home! Wir lieben diese Unterkunft. Insbesondere die Hilfbereitschaft der Mitarbeiter war super. Zimmer sind sehr sauber und geräumig, definitiv zu empfehlen !